That’s the choice Seychelles President Danny Faure made during a live address he gave Sunday. He sat in a mobile glass dome more than 121.92m beneath the Indian Ocean looking cosy as hell. And his message was clear: The oceans need protecting, and we humans are seriously failing them. 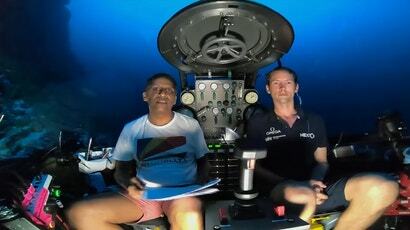 In fact, this was the first live address underwater by a president, according to the Seychelles government. Maldives Cabinet members did something similar in 2009 when they held a meeting underwater donning scuba gear and using only their hands to communicate. Island nations don’t play because sea level rise, coastal erosion, and the loss of their reefs could literally put them underwater. But rising seas are far from the only change that’s afoot. Plastic pollution, ship traffic, and global warming threaten the ocean ecosystems we depend on in countless ways. The Nekton expedition through the more than 42 million square miles that make up the Indian Ocean will first focus on the water surrounding Seychelles, which has committed to protecting 30 per cent of its oceans by 2020. 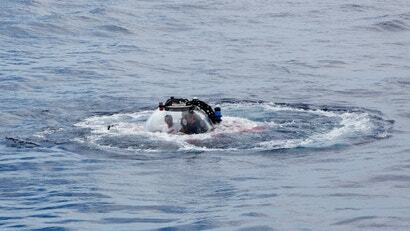 So far, the mission’s conducted 75 dives related to Seychelles, according to the government.